County staff embraces transportation planning practices. improving coordination between land use and transportation system planning; providing cooperative interaction between planning, design, and operation of transportation services; maintaining a balance between transportation related energy use and clean air and water, and encouraging alternative modes of transportation that will enhance energy efficiency while providing high levels of mobility and safety. The LLD staff is concerned with the safety of the public, the efficient use of transportation resources and the mobility of people and goods. Staff is called upon to protect the environment while providing mobility, to preserve a scarce public resource (capacity) while working with others to assure economic activity, and to assure safety and security of the street system. Safety will continue to be a paramount issue in transportation planning and road construction. LDD staff review subdivision construction plans, conduct walkthroughs of proposed subdivision sites, and meet with developers and engineers during planning for new developments. The construction plans are checked for proper roadway design, drainage design, right of way and easement requirements, notes, details, etc. 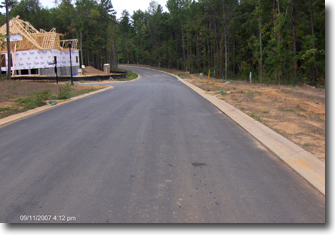 which must comply with the current Greenville County Land Development Regulations. They also check for erosion/sediment control, flood control (water quantity), and water quality. Construction plans for proposed public or private roads must be approved by LDD staff prior to construction. Please call 467.4610 for more information. LDD staff inspect subdivisions during construction to check for compliance with the County-approved plans. A series of key inspections are made during the course of the project starting with clearing, grubbing, & rough grading, followed by drainage and utility installation, then fine grading, curbing, and asphalt installation, and ending with grassing and punch list items. A pre-construction meeting between the county inspector, design engineer, and contractor is required prior to beginning construction. Please call 467.4610 to arrange the meeting. 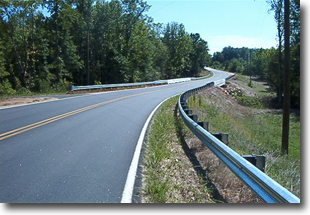 All new roads planned in the unincorporated areas of the county must comply with Land Development Regulations. For specific requirements on the process of developing a subdivision, visit our Subdivision Administration page.